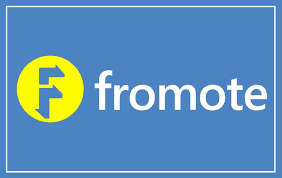 I came across this really cool site called #fromote. It is an influencer marketing website where you can connect with brands from all over the world and make money by posting and taking part in their campaigns. The jug in my life is undoubtedly my best friend - Sheetal Bhasin! We've known each other ever since we were in Kindergarten (Nursery school)! Yes, that's about 22 years of our lives, over 2 decades! Crazy, no? We've been the best of friends ever since! She's been my backbone, we've fought like crazy and still got back together! I can share everything with her and always find a solution to my problems and vice versa! We share everything from gossips, to memorable moments! Also, we've coincidentally been in the same section each year (except for one year) in our school which helped us bond more! We call each other by funny names, tease each other, and still be there to support the other one! She's always been a support whenever I was feeling gloomy and blue. Sheetal is my go-to friend! I can talk to her about anything that worries me and she'll help me find a solution to it. I know she'll be there even at 3 am if I need her. I've shared beautiful moments with her which i will cherish forever! Sheetal is definitely my JUG! She's more than a best friend and holds a special place in my heart! She's my kinda crazy and I absolutely love her for that. She's accepted me with my weirdness and even if I don't talk to her at times, she'll be really sweet and text me all the time to make sure I'm fine! She's gone out of her way many times to be there for me and I can't thank her enough for that. She's straight forward and doesn't hold anything in her heart. She's taught me to fight for what I want, helped me when I fell weak, and given me courage to fight back. We meet less often now due to work but whenever we meet, we start from where we left and that's the best thing! We have a crazy time together. Whenever I'm in trouble, I know where to go and she is the one to calm me down. I still remember the times when I used to panic a lot for every small thing and just pick up my phone and call her and she'd always helped me calm down, be it exams or anything else. Affimity.com - connect with your passion. This website is a social media website which has dedicated channels on beauty, cure, wellness, fitness, yoga, parenting, sports, etc. I have been using this website for a while now and I like the way of interacting with posts. The home page shows us updates based on the people we follow and our interests. We can interact with these posts by liking and commenting our views on them. My personal favorite channels are Food, yoga and fitness. Food –This is my first favorite since I am a big foodie. I have discovered some amazing recipes from Affimity and I’ll soon share my recipes as well. I tried out this one food post and it turned out to be delicious. On Affimity, you can choose to either just follow someone or be friends with them. Also, you can share posts that you like with your followers and friends on your other social media channels. Isn’t that amazing? You can also save the articles you like for future reference. Dedicated channels – It helps you meet people from similar interest groups and you can share your ideas and have conversations with them. Passion driven – The website helps you connect better with people sharing the same passion as yours, unlike other social media websites which have all kinds of people at one place. Learning – While you interact with people, you can share your opinions, share your ideas, give advice on various things and post pictures, etc. Connect with your interest – You can easily find people of similar interests and follow them, share your content with them . Interest specific social channels – Since it is all channelized, you can easily filter people based on your interest topics. Community buzz – Community buzz is a really cool thing on Affimity which I did not find on any other social media websites. Share your content from your website – On Affimity, you can use the content from your website to Affimity and also get traffic to your own website which is a really cool thing. Asking questions – You can also ask questions by creating polls and get your followers vote for their choice. Fun facts and tips – Affimity also has fun facts and tips that pop up when you click on a channel, a nice feature which I don’t see on any other social media website. Fun fact - I like how the name “Affimity” came along - Affimity is the coming together of Passion (Affinity) and Friendship (Amity). Do visit their website and happy connecting with people with like interests! You happened to me on 3rd February, 1991. Ever since I took my first breath, I have been loving you. 3 years into life, I met with an accident and badly injured my foot. The doctor gave me a high amount of anesthesia and I remained unconscious for 30 hours straight, but today I stand on my feet again, thanks to you as you kept me going. The scar still reminds me of how strong I have been with your support. My family was always there to support me and you also did not leave my side. I met with many accidents, almost every couple of years but you kept your patience and helped me heal. Apart from that, my childhood was the best ever - blessed with grand parents, parents and siblings. You always taught me to fight back, and I never gave up. I might have taken a little longer to stand up, but I did not give up. I fell down 9 times, got up 10th time. Thank you dear Zindagi, for giving me the best of people in my life, the best memories, challenges to make me strong and what not! Today, I as write this to you, I am only feeling more grateful to be blessed with you. Thank you for giving me enough wisdom with each difficulty so I can do the best in the situation. Thank you dear Zindagi, for giving me the best parents there ever can be. They have always guided me and helped me in times when I needed someone. But I shout my problems the loudest to you. You have always known what's going on in my mind and you are my best friend and confidant. You have given me hope. On the love front also, you have been very kind to me and given me the best lover and I have already got the love of a lifetime. You've always been my favorite, dear life. You've not always been a fairy tale but at times been a Pandora's box of troubles too, but hey, that's how you are meant to be, no? I've got my fair share of happiness and sadness from you and I am glad about it. I completely agree that even a straight line in an ECG means you're dead and so, what is life without ups and downs! Thank you for my good health, my academics so far, a loving family, caring friends and everything you offered me. I cherish it all. Please keep up with your kindness and also keep giving me more challenges so I can learn and grow with each one. If given a chance to exchange you with someone else, I won't. Yes, I wont. If I could go back in time and get to choose how I live you, it will be the exact same way. No, not that I haven't made any mistakes, but just because those mistakes taught me the biggest lessons of life. I truly believe that you are the most beautiful thing that happened to me and I will make you more beautiful. If you were tangible, I'd hug you the tightest today. I have no regrets from you, and I will live you to the fullest and make it large. I will love you, till death do us apart. 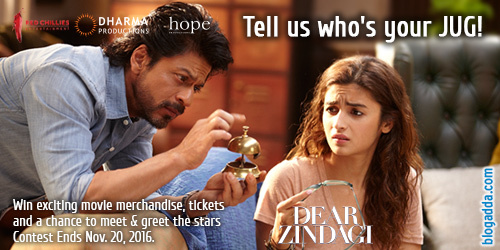 Love you Dear Zindagi. Stay alive and I shall live you. TERE LIYE MERI SAANSEIN, MUJHSE TUJHSE PYAAR HAI, TUJHPE HI AYE ZINDAGI, JAAN NISAAR HAI. If you love challenging adventures, you're at the right place, read on. 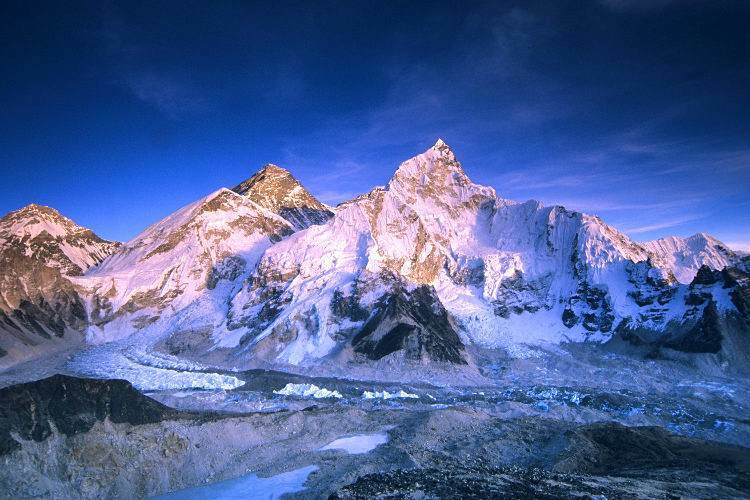 Mount Everest is the highest mountain in the world. Its height is 8,848 metres (29,028 ft). It lies on the border of Nepal and China, with about half of the mountain lying on each side of the border. 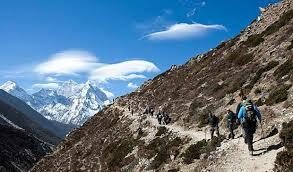 Everest Base Camp Trek is a famous challenging trek in Nepal. Many people have even risked their lives in the quest to reach the top of the Everest. However, now the trek to Everest Base Camp has become an achievable goal. Best time to go on the trek is from March to May and from September to November. The winter gets really cold and makes it tough to climb easily. First things first - Make sure you are atleast average fit or good fit for this trek. You must pack lightly for the trek – 10 to 15kgs. A fleece jacket is a must along with long pants, two or three T-shirts, boots, trekking socks, and sneakers. You will also need a raincoat, gloves, woolen hat, and polarised sunglasses. Carry a sleeping bag and travel-size toiletries, including a good sunscreen as the sun here is harsh, lip balm. Don't forget to keep a first aid kit along. Keep a few litres water along with you. Now, while trekking, to be safe you can hire a guide along for just $20 a day and he'll also tell you about the culture and natural environment which will be of great benefit. There are two base camps in Everest for trekking - South Base camp & North base camp. While the south base camp is in Nepal and doesn't require passport, the North base camp is in China and needs permission and also a permit to visit Tibet is required for North base camp. The south base camp for Everest is more famous. It has breathtaking scenery, and you can experience unique Sherpa culture by visiting monasteries and museums along the way. The natural beauty, fascinating culture and warm Nepalese hospitality from the people of the Solukhumbu region, make the Everest Base Camp trek a memorable one for life. For enjoying the trek, don't hurry to reach the destination - the journey is more beautiful. You'll surely love this adventure trip and remember it for the rest of your life. If you're looking to go on an Everest Base camp trek, visit www.mojhi.com here : Everest base camp trek . Here's a funny take on the movie - Do read on for a good laugh! We all have surely watched the movie atleast 10-15 times, isn't it? What if Raj couldn't talk anything apart from his usual 'hey hey hey' :P Imagine how would he express his love to Simran - Hey, hey hey hey hey hey hey! Simran asks permission from her dad to go on a Europe trip. And then the cliched dialogue - Ja simran ja, Jee le apni zindagi.. We all have used it pretty often for humor in our daily life! Imagine we telling our parents that we love a person who is not of the same caste, and they'd reply - Ja beta ja, jee le apni zindagi? Haha, won't life be so much easier then? Raj's game plan to get to Simran was funny and crazy. It was hilarious how he tries to get close to Simran in the train in Europe. And then Raj meets Simran's dad and the culture lecture begins! DDLJ is indeed the benchmark for romancting movie of Bollywood. Don't you agree? That's it for the dose of humor. Check out Follo for more bollywood news, masala & gallery of pictures! The Bolly Masala sections happens to be my favorite on the website! What's yours? First things first, I had been having a lot of hairfall since the last 3- months, due to which my hair length wasn't increasing much, especially when I did a shampoo - almost 60-80 hair strands would say goodbye to me everytime and that would be so disheartening, I can't even express. Day 1 - I had applied oil to my hair, like always. After a couple of hours, I used New Pantene to shampoo my hair and voila! - I had around 50 or less strands come out. After which I applied the Pantene conditioner & thoroughly rinsed my hair. 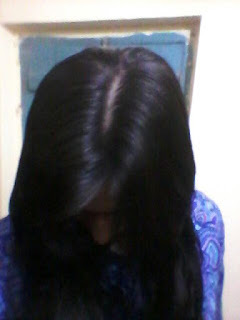 Blow drying was also better than before with just 10 hair strands compared to 15-25 that happened earlier. Day 2 - Combing my hair was pleasant with just about 10-15 strands of hair. Day 3 - Again, about 10-15 strands of hair came out. Day 4 - Shampoo again! This time, roughly 35-40 hair strands came off while I did my shampoo. 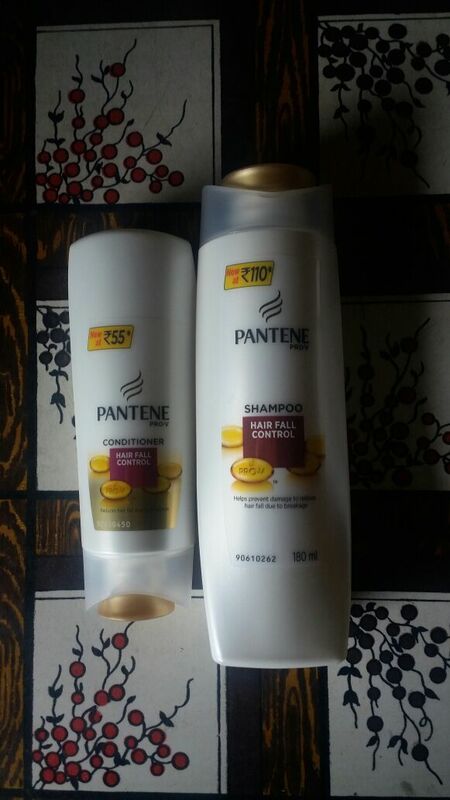 I apply Pantene conditioner everythime I wash my hair. Day 5 - Lost about 10 strands on combing. Day 6 - Again 8 strands, noticeably, were lost on combing. 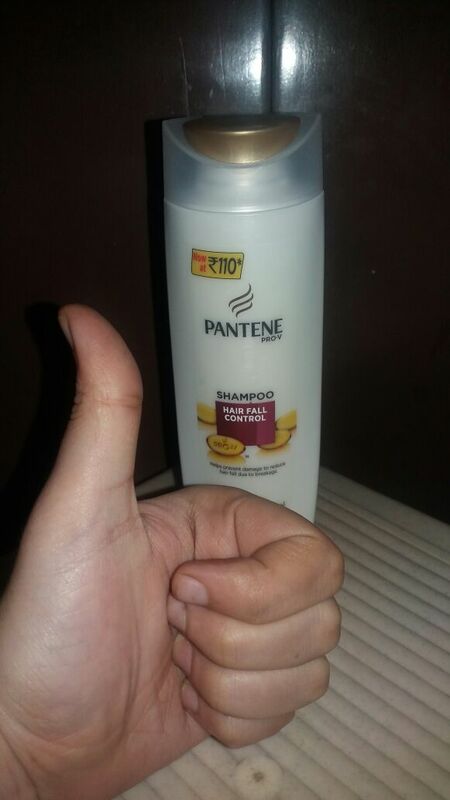 Day 7 - Shampoo-ing my hair was pleasant than ever before in the recent times. About 30-40 strands were lost in the process this time. 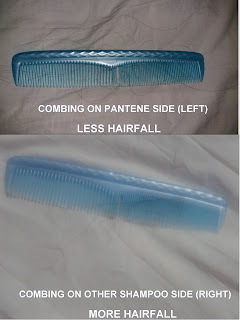 Day 8 - About 10-15 hair strand loss. Day 9 - Loss of 8-10 hair strands. Day 10 - Again about 10-12 hair strands fell off. Day 11 - Washing my hair was better than ever before, about 25-30 hair strands only fell off. Day 12 - Combing hair took away about 10 hair strands. Day 13 - Again, 8-10 strands lost in combing. Day 14 - Used New Pantene shampoo again and lost about 20-25 hair strands only. Completed my #14DayChallenge of the New Pantene and the result was a pleasing one! Earlier I was really afraid to even run my fingers through my hair as I would lose 5-10 hair everytime I did that. Thankfully I can feel my hair and not worry about hairfall. 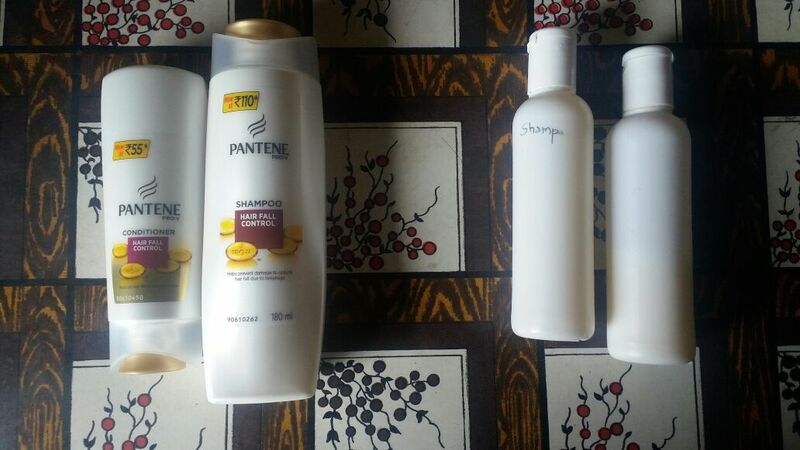 Thank you Pantene. 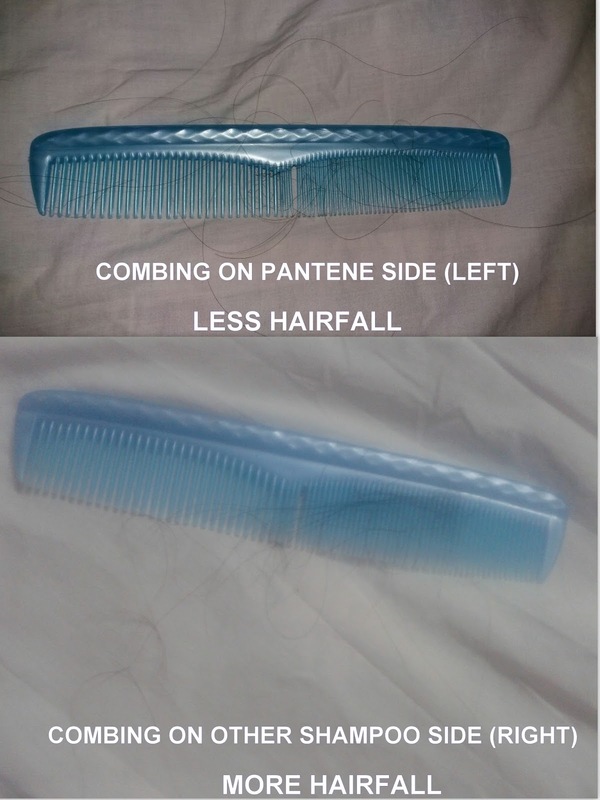 I have to admit, New Pantene proved to be a life saver for me. I can wear whites and try out different hairstyles without worrying about hairfall. I would give it a thumbsup. 4.5/5 for me! Switching over to the New Pantene so I can get rid of hairfall nightmare! And now that I have reduced hairfall, time for some happy dance!!! Guys it's time to #HarDinFashionKaro. 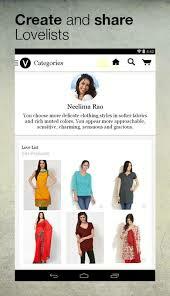 Simply Download Voonik app and shop for women fashion, accessories & jewellery. I downloaded and checked out the collection. It is really amazing, i loved it and bought a few products too. Do try it once! I just tried this new app! It gives free amount for recharges on doing specified tasks like downloading & trying other apps or more such simple tasks!! You must try it out. 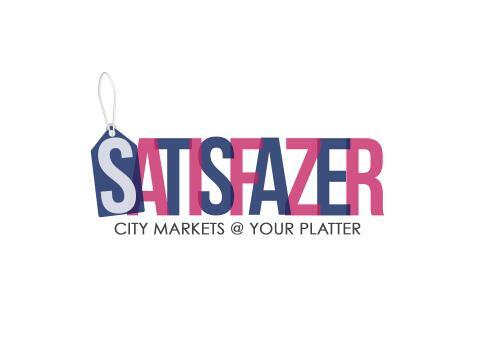 I recently checked this website called satisfazer.com. They have great discounts with coupons codes and amazing collection. Do try once! 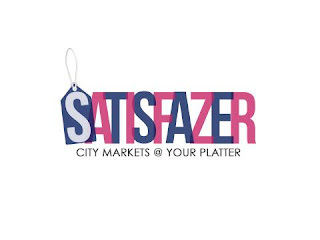 Must check out Satisfazer - Amazing collection of footwear, clothing, bags & more that are too good to refuse. 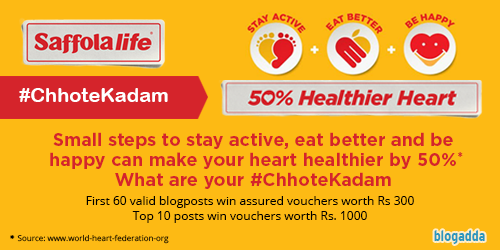 I am joining the Saffolalife #ChhoteKadam initiative in association with BlogAdda and follow these small steps for a healthy heart. You walk for me daily for thirty minutes and I will work for you for years - said the heart. The heart works 24*7, 365 days a year - since the time we are born till we die. We must realize that even the heart needs care. As we know that the heart is the most delicate in a human body, we also need to understand the importance of it & how to keep it healthy and strong! As World heart day is round the corner, we must become aware of the best things for our heart. We give enough pressure to our heart with stress, smoking, junk food and such other activities. 1. Stay active - Staying active is very important. We must not be lazy and the least you can do is take out half an hour everyday for a morning or evening walk as it will help to keep you active, burn fat and make you healthy. 2. Eat better - Take care of what you eat - not too oily, not too heavy. Keep your breakfast heavy and stay active throughout the day. Keep your lunch moderate and dinner very light. Also, have your dinner atleast 2 to 3 hours before you go to bed as when you sleep, the food does not digest well. 3. Be happy - If you are under stress, you will fall prey to Blood pressure problems and other issues which can adversely affect your heart. So always smile as it releases good hormones in the body and help you stay fit and healthy. Remember, Happy you = Happy heart. 4. Drink Water - Drink ample amount of water as it keeps you hydrated and even reduces your stress level. So have atleast 10-12 glasses of water throughout the day even if you are not thirsty. 5. Eat things that are good for heart - Eat Walnut as it is considered very good for the heart. Do not eat high amount of salt with your food as it gives high blood pressure. Stay away from high calorie food as it will give you a big weight gain which is not healthy for the heart. Include right amount of nutrients and vitamins in your diet. 6. Lastly, use good oil like Saffola in cooking your food. Don't forget to Check your Healthy Lifestyle Score at Saffolalife. 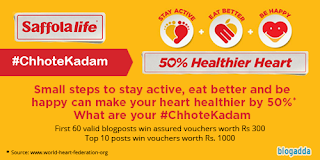 I believe that simple lifestyle changes, specifically staying active, eating better, and being happy, are actually #ChhoteKadam to healthy heart. Today I'm writing about why it is important for children to catch up on lost growth. I am a firm believer of the saying 'If wealth is lost, something is lost but if health is lost everything is lost'. It is important for everyone, especially children to lead a healthy and normal balanced life - both physically and psychologically. children fall behind on growth by not attaining the right height & weight as per the age, which may cause anxiety among parents and also reduce the confidence of children. In my opinion, it is extremely important for children to catch up on their lost growth as the overall growth of children shapes their lives and also their health. It is important for every child to meet their growth milestones. Especially in today's world where the competition is huge, i feel, parents should make all efforts to give proper growth to their child so they can face the competitive world with it. Every child needs the right amount of nutrients in proper proportion to be able to cope up with their studies and also the extra curricular and physical activities. Be it sports or mental exertion like studies, every child needs to have proper growth so they can cope up with all the challenges life throws at them. Be it growth or development, every child must be taken care of, and Horlicks Growth+ does just that. When children don't eat properly, they weigh less and even growth does not take place well without proper nutrients, which is why children weigh less and have lesser height and then feel a little low on confidence. A good height is always an added advantage whereas good health helps in fighting various diseases. When children are lean and not healthy enough, they tend to fall ill faster and also get weak soon whenever they fall weak. So, i feel that growth and development is very important for overall well being. Few parents take these growth and development issues lightly but this affects the child in the long run as well. On the other hand few parents are always worried about their child's growth and development but have no idea what to do to take care of the same. The simplest solution is - Horlicks Growth+. Horlicks Growth+ is a specialized nutrition product designed by international pediatric experts for children in age group of 3-9 years who are lagging behind in height and weight. It contains high quality whey protein with added nutrients that are known to enable children to catch up on lost growth. If you are also one of those parents who are worried about their child's overall growth, you must visit - Horlicks Growth Plus where you will know how your child can catch up on lost growth. Horlicks Growth+ has clinically proven visible growth in 6 months. So give it a try and your child is good to go! Mouthshut.com is a consumer review website where consumers write reviews on a wide category of products listed on the website. 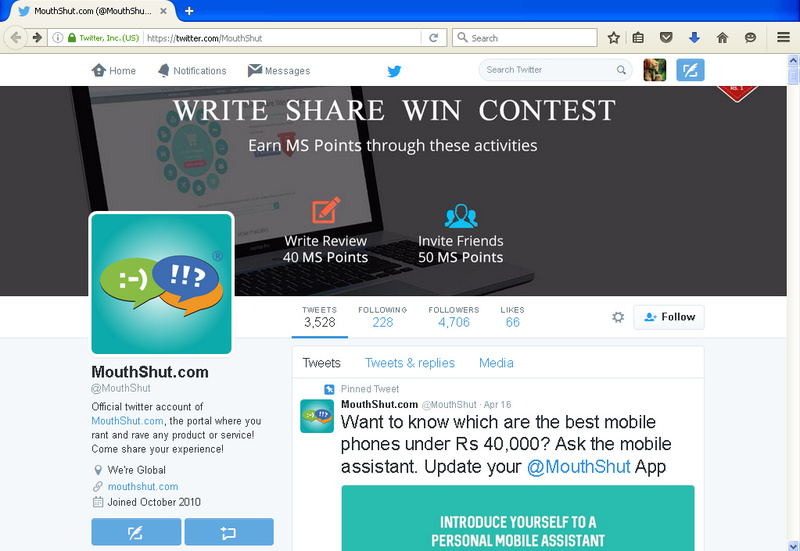 Mouthshut is running a fraud contest called 'Write. Share and Win.' 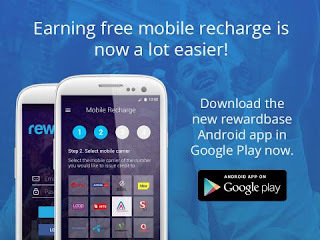 whereby they are offering consumers upto Rs. 40 for negative and Rs. 30 for positive review per product. I even shared my concern of fake reviews for more points with them but they said that keeping equal amount lead to spamming in the previous month. However, their agenda is probably to make consumers write negative reviews and thereby force brands to join their website by paying money to save their image. They claim that user gets this money in their bank account which was true till January. After January, they have cheated their members. They haven't transferred a single penny to member's accounts and sadly they are still advertising their fake contest which is only making them earn but users are getting cheated. 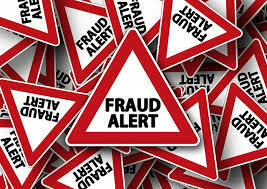 They have robbed users of thousands of rupees in the past 3-4 months which is a sad thing. 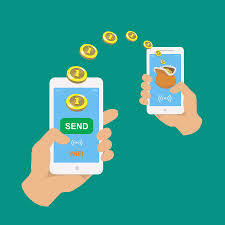 Their twitter support and email support do not respond to mails regarding the payment. Also, they are deleting all negative reviews about mouthshut from their own website so as to attract more users to fall in the trap of a fake contest. They delete true negative reviews of brands which have partnered with them. How do you trust a website with their user reviews that can be easily manipulated because any user would want to earn more by posting a fake negative review. So, I'm posting here to warn everyone about using this website. You can't even trust the genuineness of their reviews. Don't fall prey to them. We all love vacations, don’t we? Being a travel bug, I have a perfect vacation idea. It doesn’t take much to have a perfect vacation, just a bag, camera and few essentials and you’re good to go. Perfect vacation is more about relaxing and enjoying rather than just traveling with something bothering you. Peace of mind makes it a perfect vacation. And when you book via yatra.com, there is nothing else you need to worry about and there begins your perfect vacation. I recently had a real fun time when I was in Mumbai and decided to take a vacation to Goa with my girl gang! So I decided to head to yatra.com and searched for Domestic Airlines from Mumbai to Goa. So I searched for the cheapest flight from Mumbai to Goa and finally booked it on spicejet airlines at a great price. Soon after booking flight for my gang, I went on to look for some hotels. I had heard a lot about Candolim beach in Goa so decided to stay at a hotel around this particular beach. I got this hotel ‘Marina Bay Beach Resort’ near Candolim and wasted no time in booking it. 15th Feb, the travel day, had arrived and we boarded the flight smoothly. We landed in Goa in an hour or so and that was the beginning of a fun vacation! We hired a taxi for a 1000 bucks and reached the hotel. We were really excited to go to the beach and enjoy. We finished with our breakfast and went out quickly with our camera. ;) The weather had started turning a bit hot but was bearable. We had also done some online research about the places to visit in Goa and we managed to visit most of them . Day 1 we hired a taxi for visiting south Goa and there were a few temples, lots of beaches and much more to see. We also stopped at Panjim to see the beauty. The day went smooth with Goan food, lots of pictures, enjoying in the beach, and relaxing. Day 2, we went to visit North Goa with two-wheelers hired as we were already staying at North Goa, we din’t need to drive much so a two-wheeler did the needful. At nights, we used to spend time at the Candolim beach as it was at walking distance from our hotel. Baga beach and Anjuna beach were my favorite there. All in all, it was a really perfect vacation. I have visited many places but there is none like Goa. I love water sports and the beachside, natural beauty which keeps me happy. The Datsun RediGO is a unique combo of compact crossover and urban hatchback. Fun. Freedom. Confidence. The ultimate Urban Cross - Datsun redi-GO - the capability of a crossover with the convenience of a hatchback. This is what the Datsun rediGO has to offer. 1. Cool looking LED daytime running lamps are unique to the redi-GO. - RediGO is so well designed with stylish headlights, narrow daytime running lights, chromed bumper, LED fog lights that it makes driving easy and safe even in the dark. The lights are stylish which make the look of the car classy. Compact design will make it easy for me to park the car anywhere even in less space. Compact design also makes it easy to drive as it gives a proper view of the road. My small garage can easily accommodate this uber stylish car. 3. Awesome and spacious interior - The interior is quite different from the usual. RediGO has super-light steering wheel makes it easy to drive in tight, urban spaces. The front power window controls on the floor console, round HVAC vents and tall gear lever add to the interior features. Even though it is compact, it has best-in-class space and kneeroom for front and rear seats occupants which is really comfortable for people with long legs and to travel long distances comfortably. It offers a beige dashboard with black plastic center console and fabric seats which sure looks amazing. The interior is taller and spacious as it is a hatchback car. If you ask me where in India would I test this amazing car, I'd probably go to Yarlam in Gangtok, India because it is a rough terrain and I'm sure the car will be an easy drive as it has high ground clearance of 185mm. I would test the RediGO for performance, speed and comfort as that is what I always look for in a car. I usually like to go out on drives whenever I'm bored or whenever I feel like cheering myself up. Datsun redi-GO can help me beat my urban driving blues as I love to spend some me time driving to city outskirts whenever the weather is favorable. It will beat the blues because it has good mileage (not going to burn a hole in my pocket), spacious interior which will provide me a great amount of comfort when my aim is to relax. RediGO will be my best buddy while traveling. I can just hop in and go around the city treating myself to comfort. It gives me freedom to go anywhere as it has a compact design and I don't need to worry about parking space nor the heavy traffic. The features of RediGO seem to be a lot of fun. With amazing interiors and exterior, you can be confident of a good ride. What makes your morning a 'good' morning? Today, I'm writing about what makes my morning a good to 'gold' one. I was not really a morning person until i realized I really need to work hard towards my goal of becoming a Chartered Accountant. And now, having realized it, I am totally energetic and productive all day long. What is the secret that keeps me going all day long, you ask? Well, my mantra for #Colgate360GoldMornings is brushing my teeth and a strong cup of coffee, while making a list of the topics to be covered by me for the day. When you plan, you tend to achieve more. But for that, I need to leave my laziness. A 'good' morning has the power to turn your day 360° from an unproductive lazy one to a fully energetic and achieving day. Personally, I have realized that to be productive, you need to feel fresh and you feel fresh when your mouth is fresh. So the first secret of my day is a 360° cleansing of my teeth with Colgate 360 Charcoal Gold toothbrush. I don't feel active unless I have brushed my teeth. Once I drag my lazy self out of the warm and cozy bed, and brush my teeth, I don't feel sleepy anymore. Mornings are very productive compared to the rest of the day and to make the most of my mornings so I can keep moving towards my goal, I brush my teeth and then prepare myself a strong cup of hot coffee. (And since the time I am using Colgate 360° Charcoal Gold Toothbrush, I feel like I am actually caring for my teeth than rubbing them harshly as this new toothbrush is very soft on my teeth and takes care of my tooth enamel.) Next I do some morning yoga along with soft music in the background to help me stay fit and active mentally also. I'm sure you know how important being active all day is in this busy life. So, push yourself a little and be active in the morning to be active all day long. Colgate 360° Charcoal Gold is a toothbrush, that helps you to clean not just your teeth but your entire mouth. It has 360-degree rotation which can help you clean easily. Trust me, feeling fresh is very important to turn your mornings into a 'gold' morning. So go out there, feel fresh with just a brushing of your teeth and achieve more! That's my secret revealed for a lovely Gold morning.